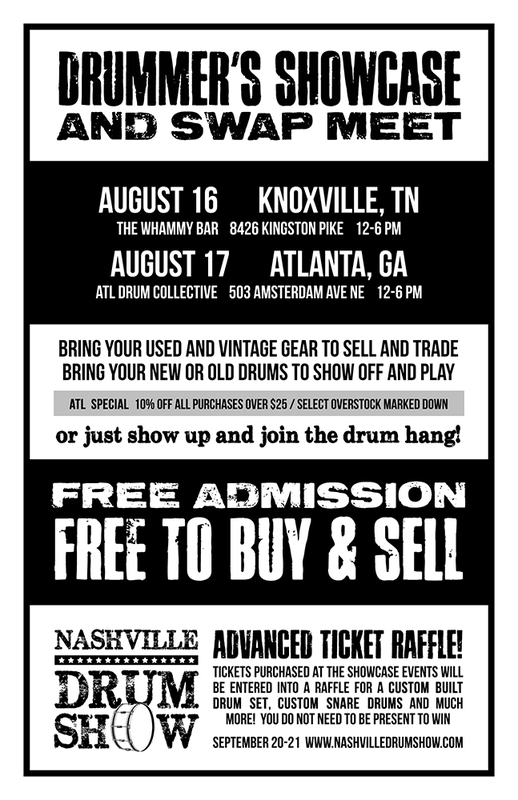 The Nashville Drum Show is hitting the road on Saturday and Sunday, August 16-17th and making stops in Knoxville, TN and Atlanta, GA. 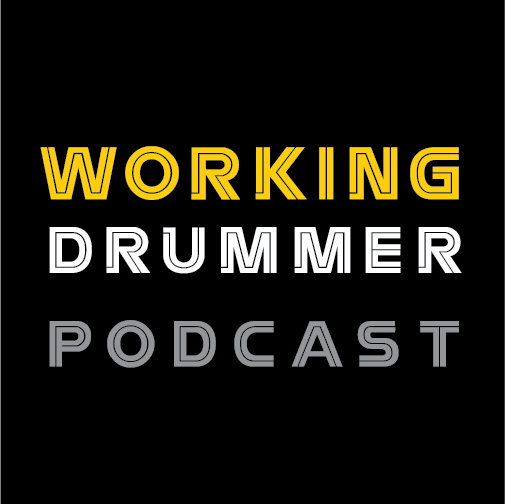 Titled "Drummer's Showcase and Swap Meet," these mini-shows are free to the public - not only to attend, but to buy and sell as well. Are you planning on coming and want to show off what you're bringing - either for show or for sale? Let us know! The event on Saturday will take place at The Whammy Bar, 8426 Kingston Pike in Knoxville, and on Sunday at ATL Drum Collective, 503 Amsterdam Ave NE. Hours are 12-6 PM on both days. There are no rules, and it is a bring-your-own everything atmosphere and open to anyone and everyone - including vendors, collectors and manufacturers. Participants can also purchase Nashville Drum Show tickets on location, $75 for a VIP pass and $15 for a regular day admission. Tickets purchased at the showcase events will be entered into a raffle for a custom built drum set, custom snare drums, and many other prizes. You do not need to be present at the show to win. 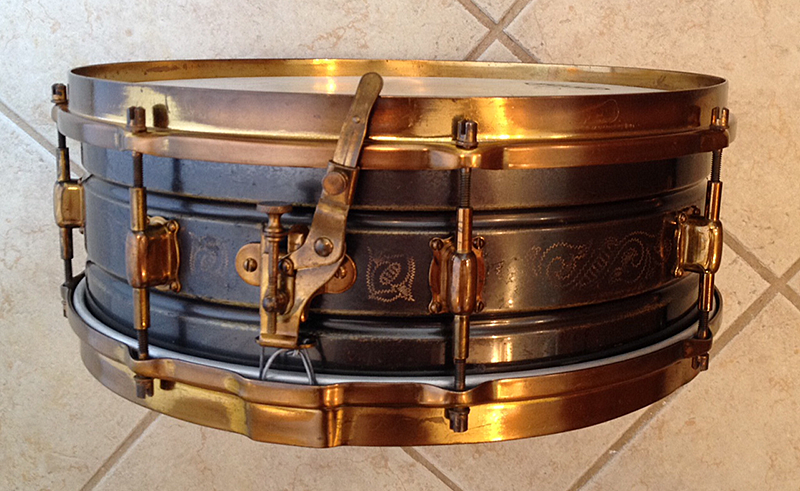 In addition to the advanced ticket raffle, ATL Drum Collective is offering 10% off all purchases over $25, and will have select overstock marked down for the event. 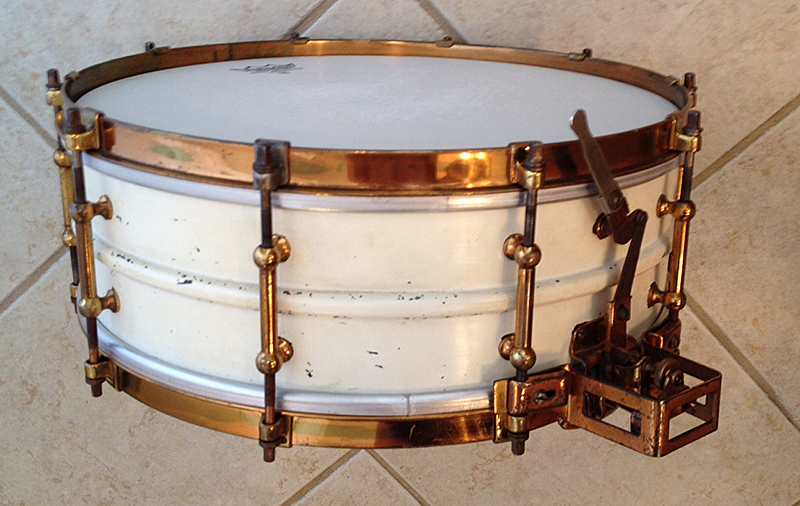 Joe Ciucci will be showing his 1940 Radio King's at the Atlanta event, beautifully restored by ATL Drum Collective. For more information, visit www.nashvilledrumshow.com.